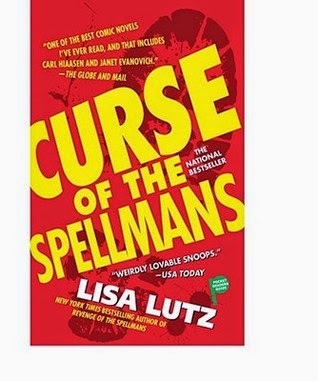 Their first caper, The Spellman Files, was a New York Times bestseller and earned comparisons to the books of Carl Hiaasen and Janet Evanovich. Now the Spellmans, a highly functioning yet supremely dysfunctional family of private investigators, return in a sidesplittingly funny story of suspicion, surveillance, and surprise. When the (displeased) management refuses to bail Izzy out, it is Morty, Izzy's octogenarian lawyer, who comes to her rescue. But before he can build a defense, he has to know the facts. Over weak coffee and diner sandwiches, Izzy unveils the whole truth and nothing but the truth - as only she, a thirty-year-old licensed professional, can. When not compiling Suspicious Behavior Reports on all her family members, staking out her neighbor, or trying to keep her sister, Rae, from stalking her "best friend," Inspector Henry Stone, Izzy has been busy attempting to apprehend the copycat vandal whose attacks on Mrs. Chandler's holiday lawn tableaux perfectly and eerily match a series of crimes from 1991-92, when Izzy and her best friend, Petra, happened to be at their most rebellious and delinquent. As Curse of the Spellmans unfolds, it's clear that Morty may be on retainer, but Izzy is still very much on the case...er, cases - her own and that of every other Spellman family member. (Re)meet the Spellmans, a family in which eavesdropping is a mandatory skill, locks are meant to be picked, past missteps are never forgotten, and blackmail is the preferred form of negotiation - all in the name of unconditional love. Ah, just an awesome confirmation that I love this series and style. It's such a fun, easy and enjoyable read with great characters ... although the "twist" was very predictable (without detracting from the general enjoyment of the storytelling).